My 29th birthday party can only be described with one word – smashing!. It was so in many, many ways. 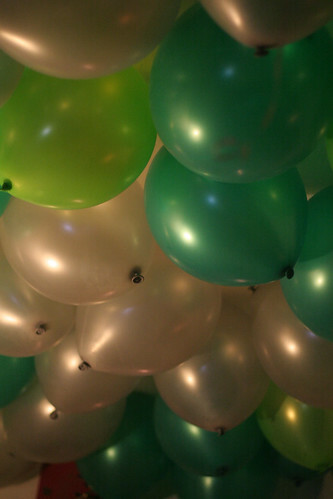 The evening started with the arrival of balloons, food, beer, ice… all these always get me excited. Then the music started blasting, and the first few guests started to arrive. I was decked in my best (and new) gear, and I felt at the top of the world. Naturally, that called for a celebration. Glasses of beer were in order, and I toasted my way to oblivion on an empty stomach. Well, what I recall best is my cake cutting moment. Of course, I mentioned that already. But it was during that time I felt most alive, most aware of the people around me, and that… although I am yet another year older, I am still the playful, somewhat idiotic me.